 See it to believe it. 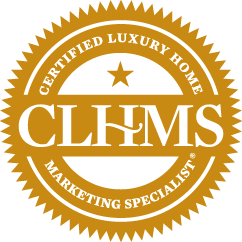 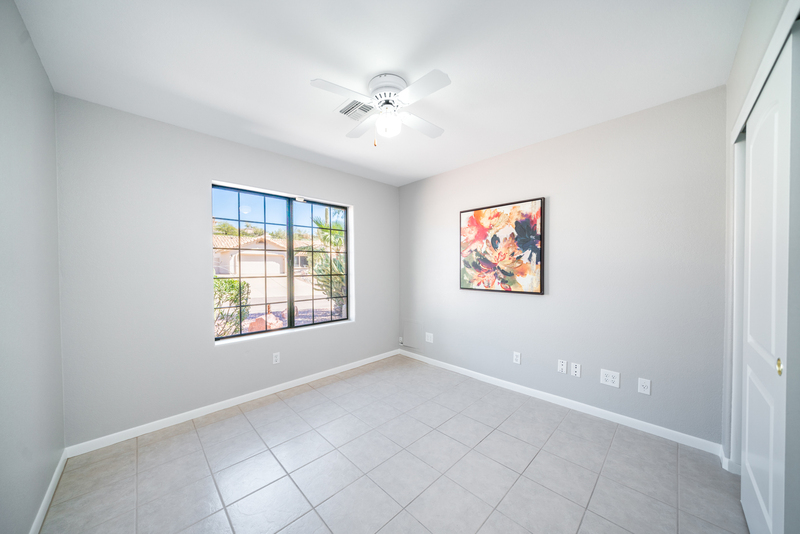 Your dream home awaits! 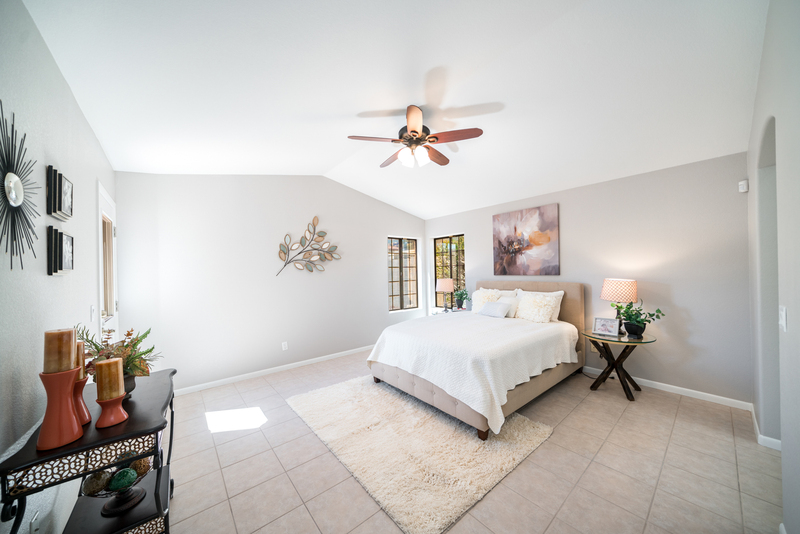 It's the peaceful getaway you've always wanted! 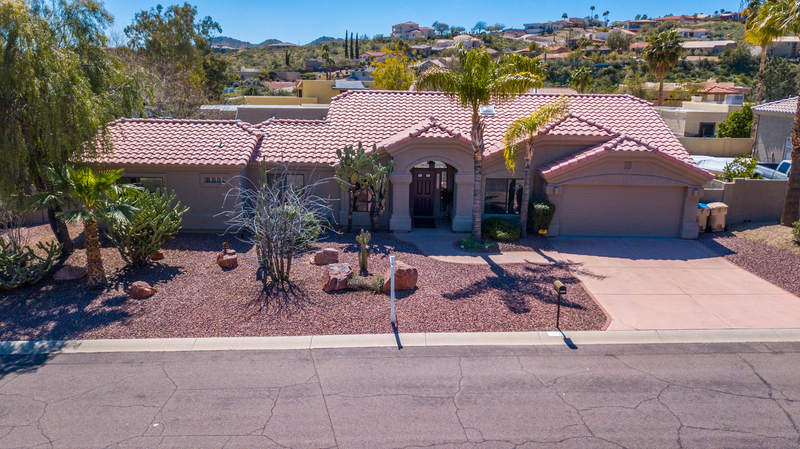 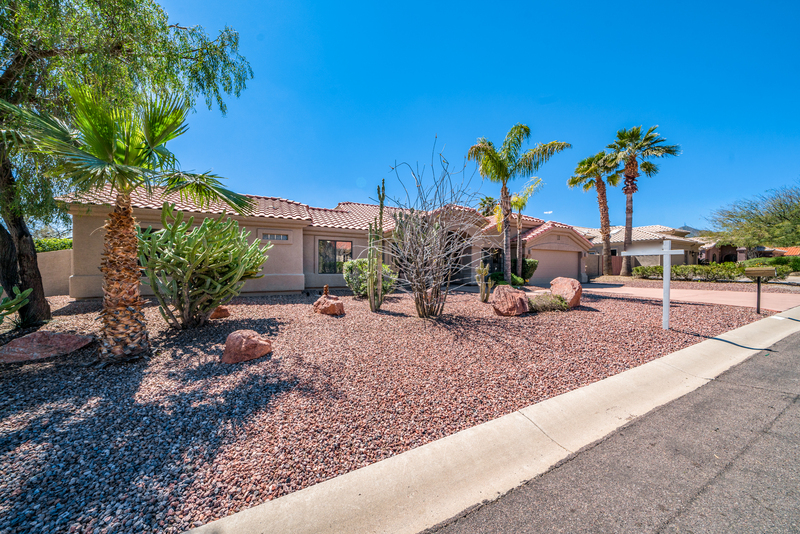 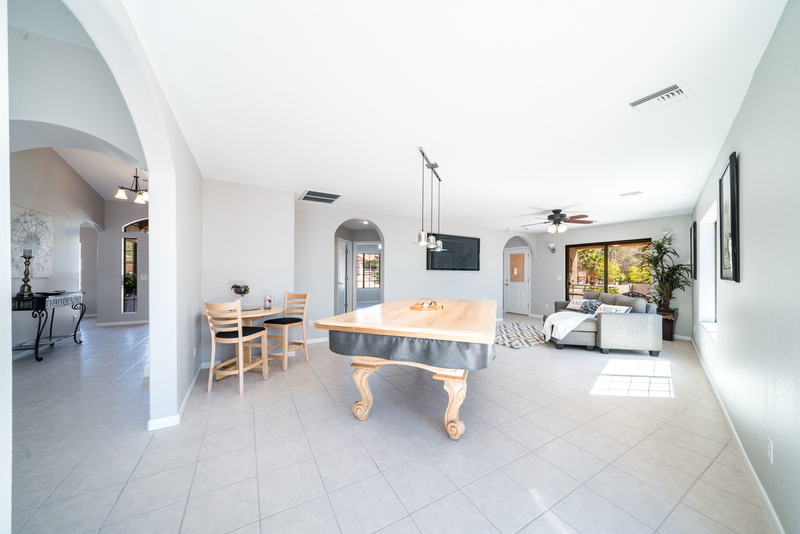 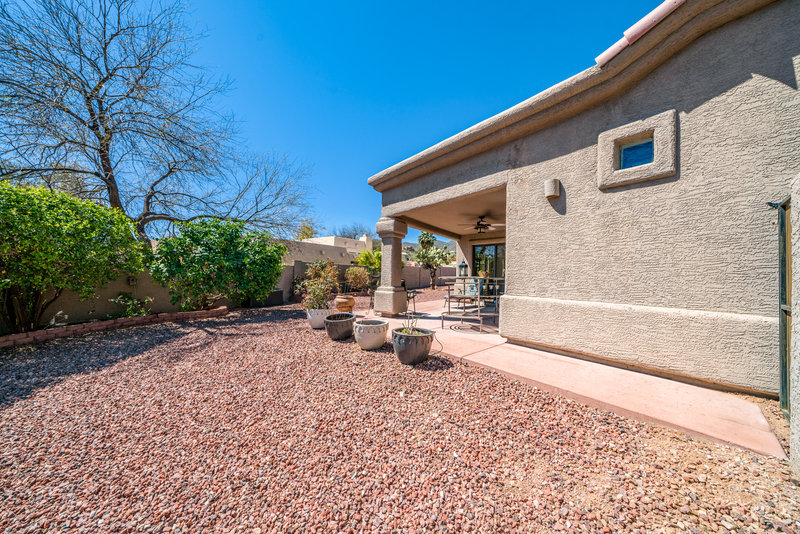 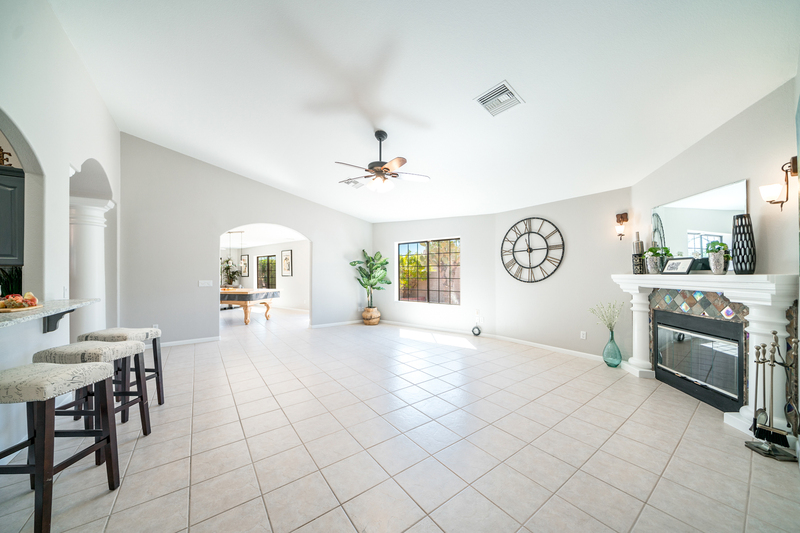 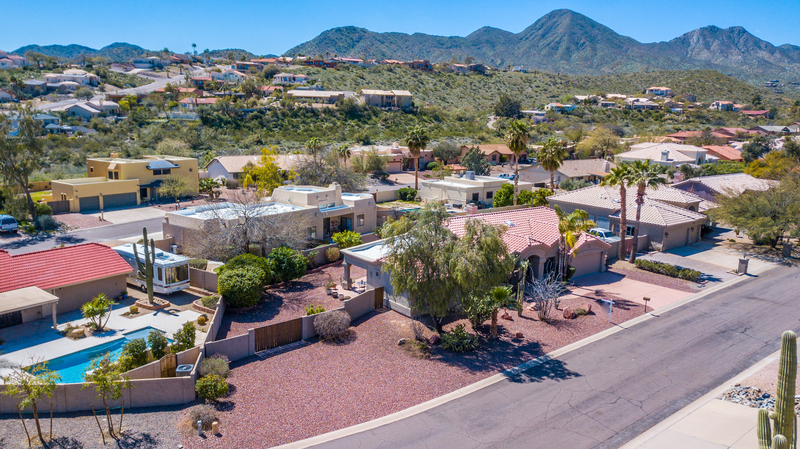 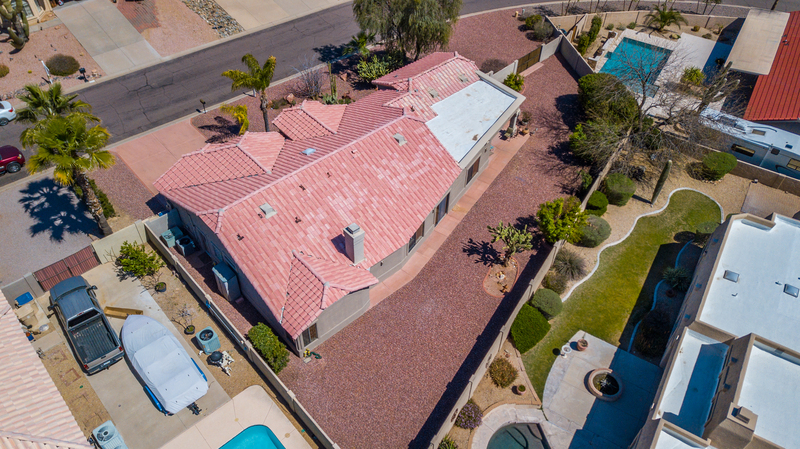 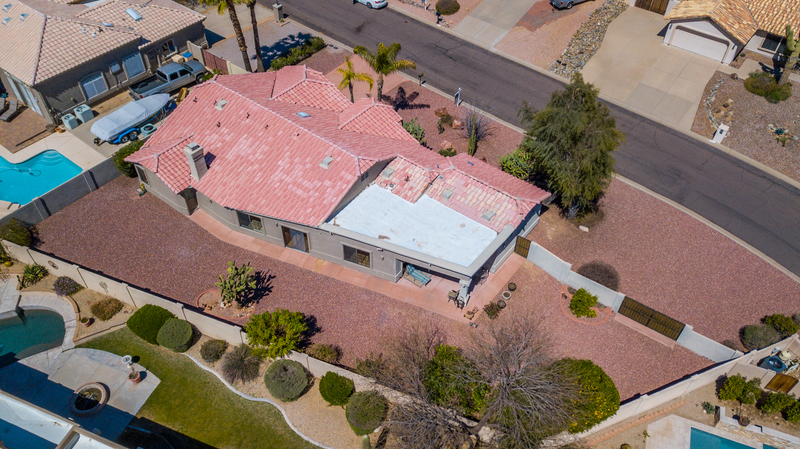 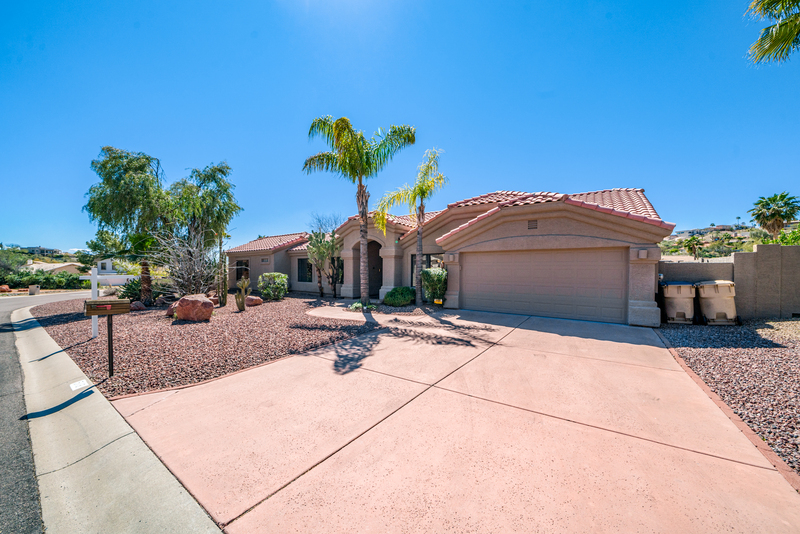 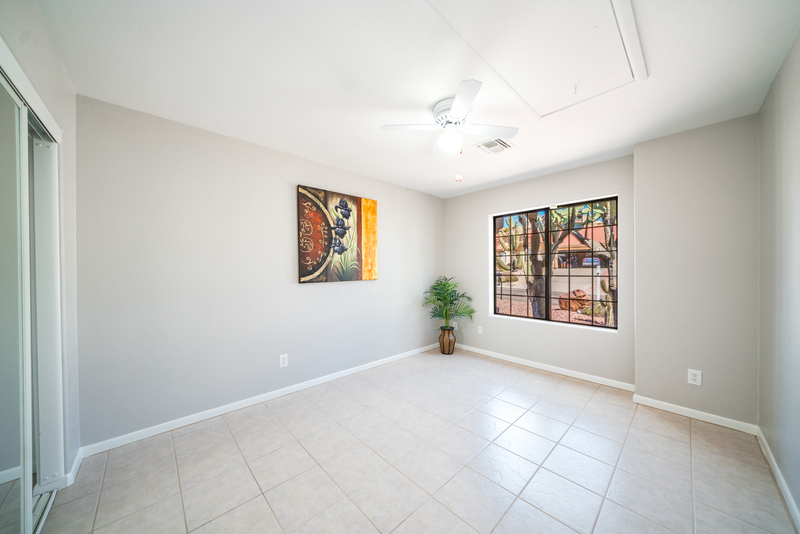 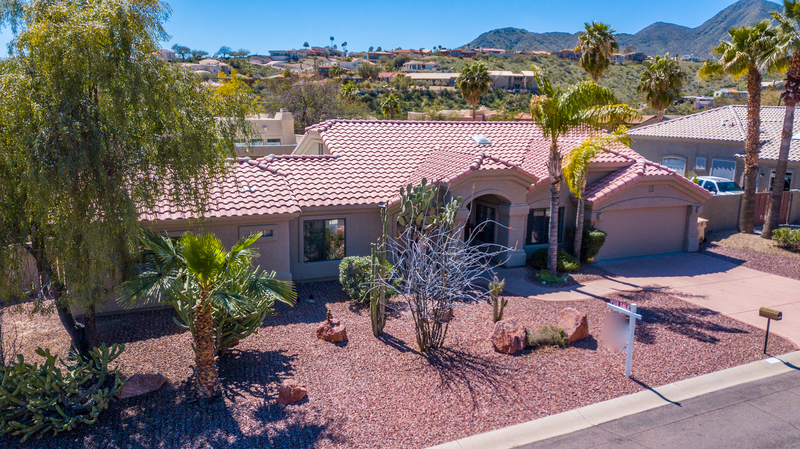 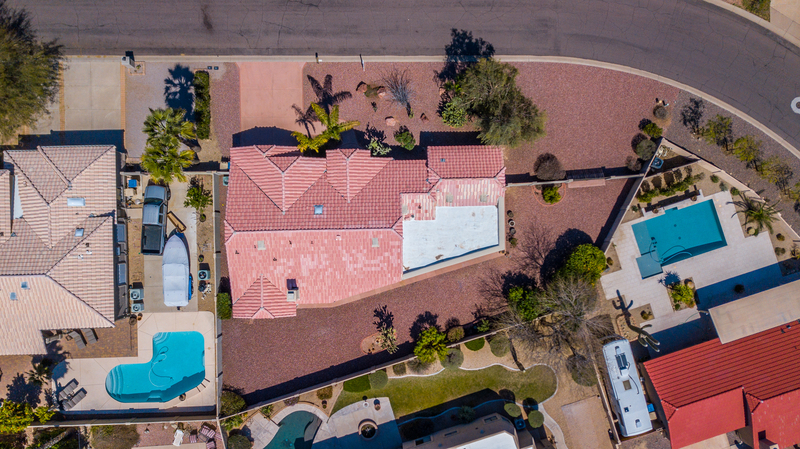 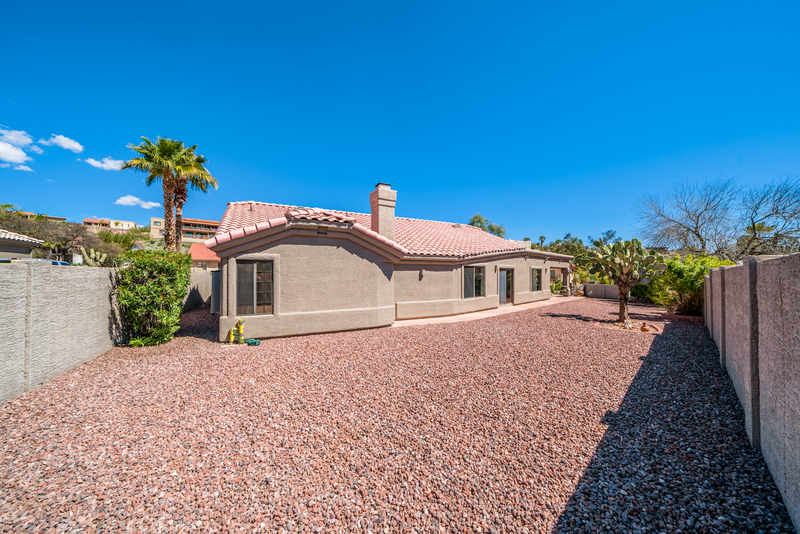 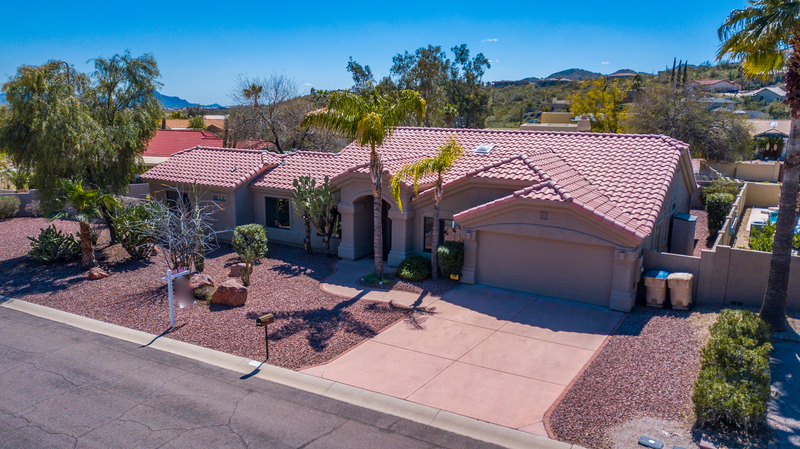 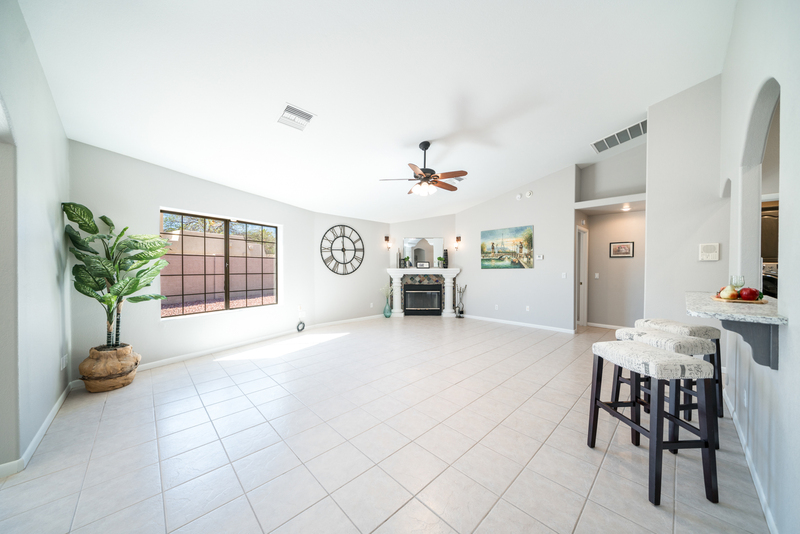 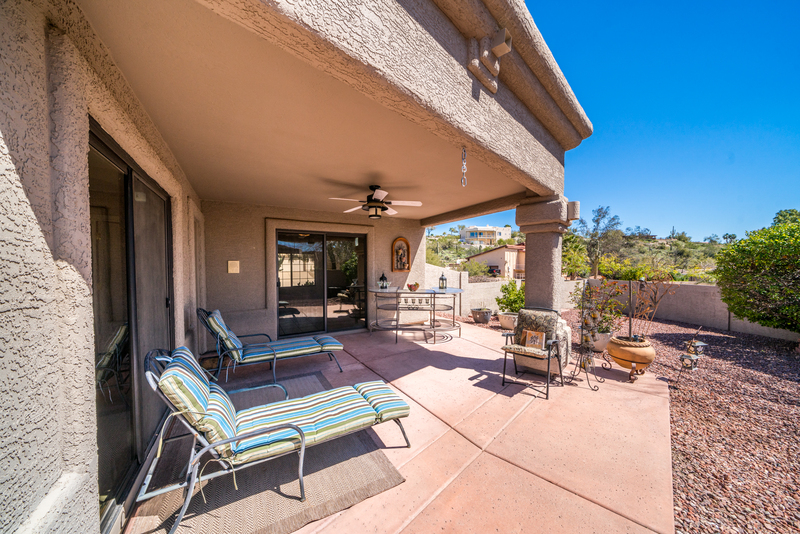 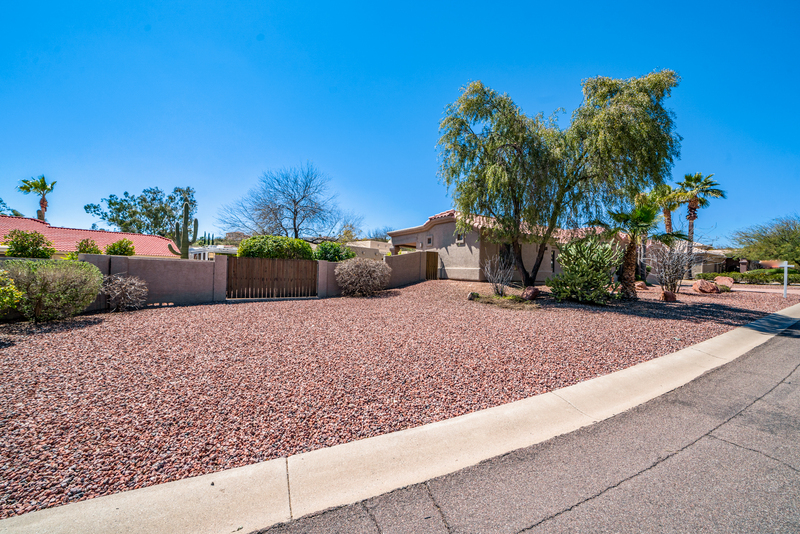 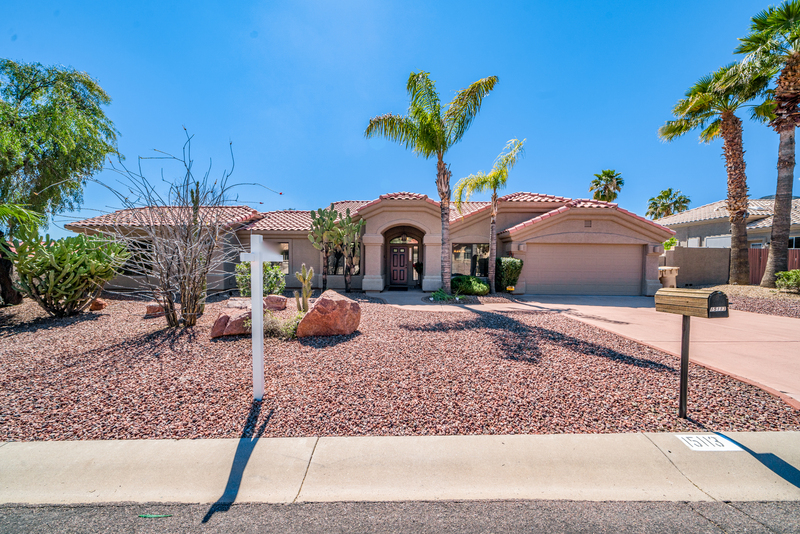 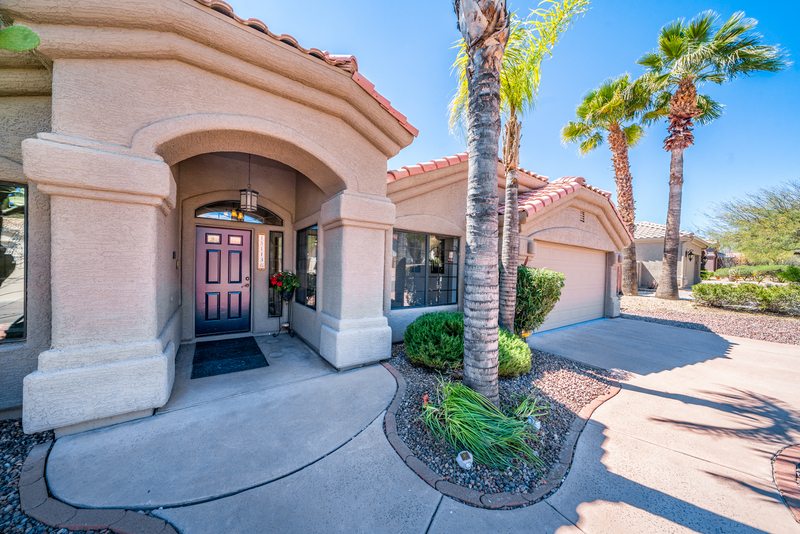 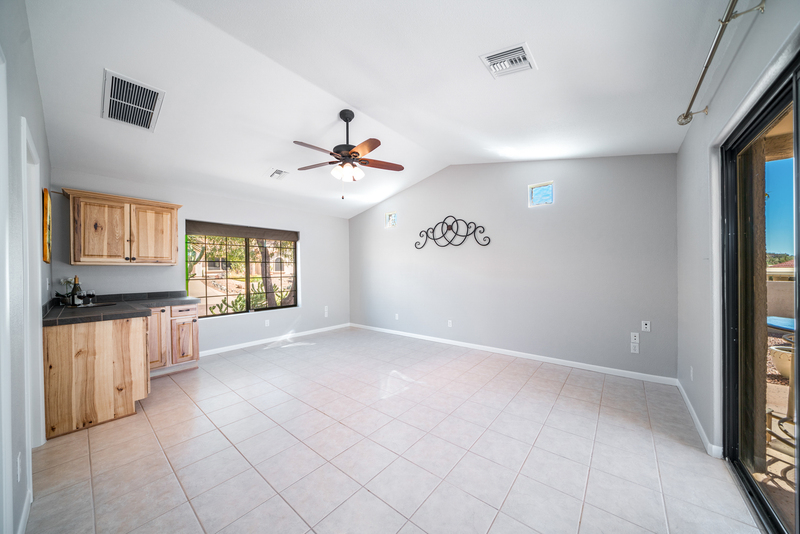 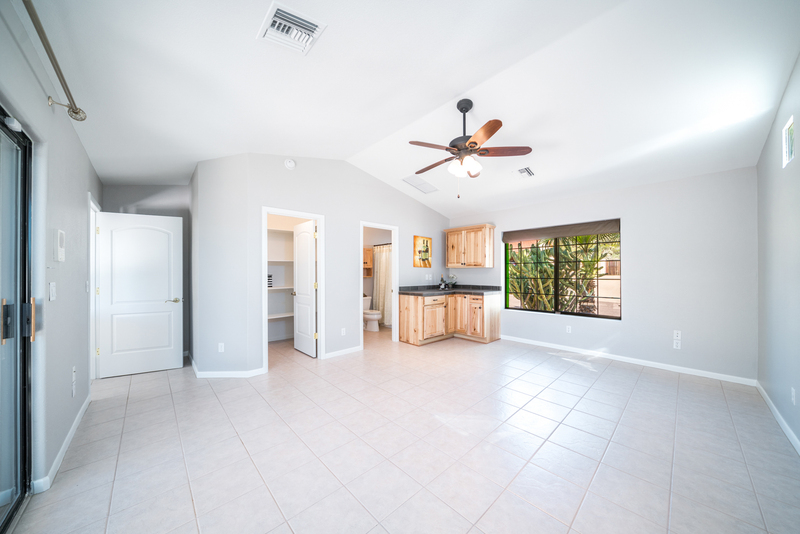 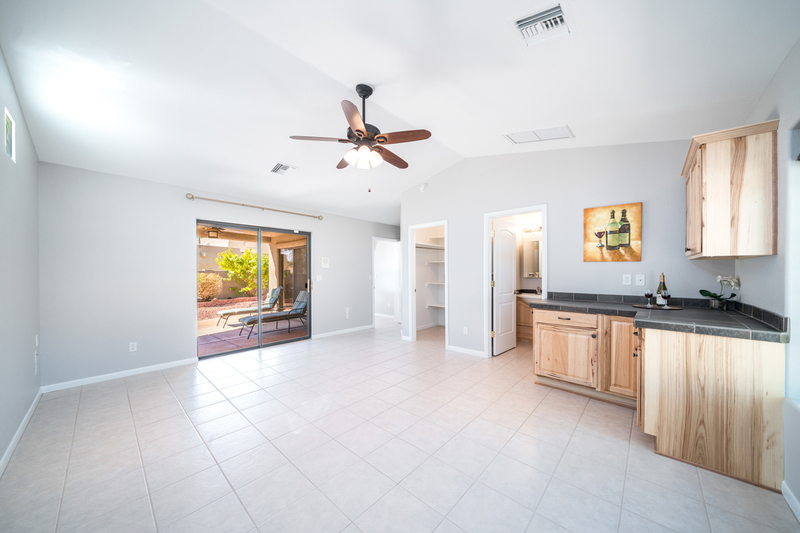 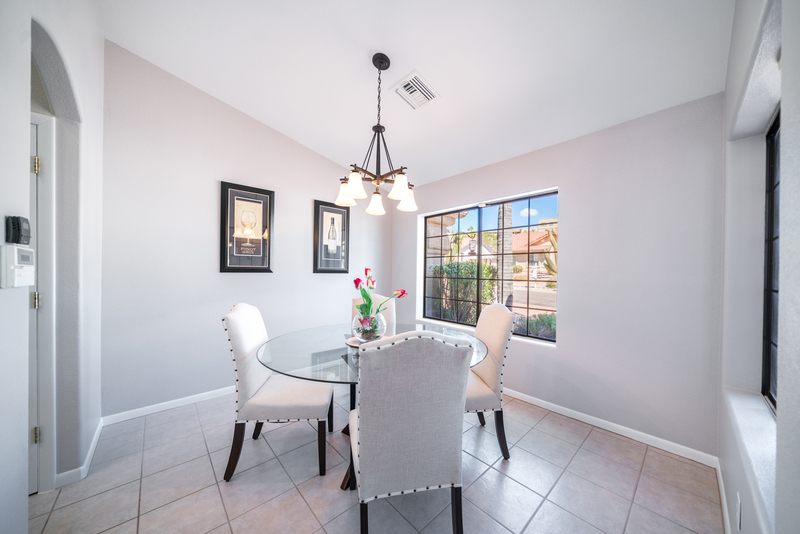 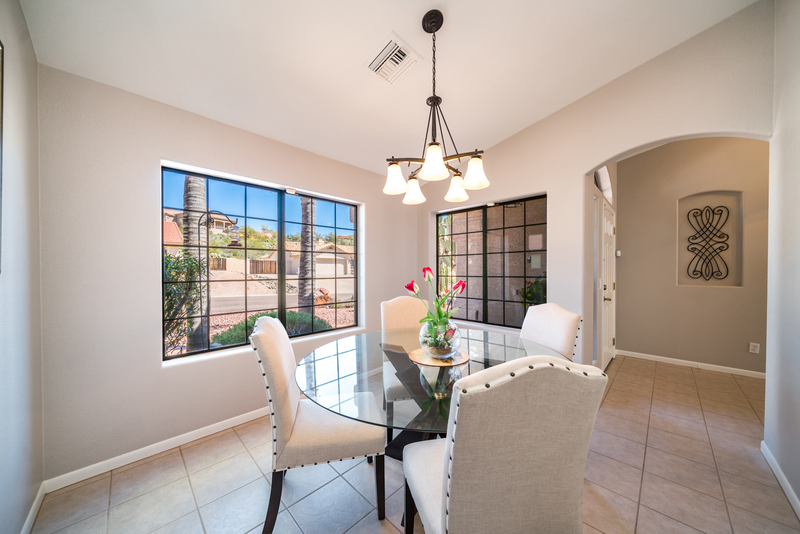 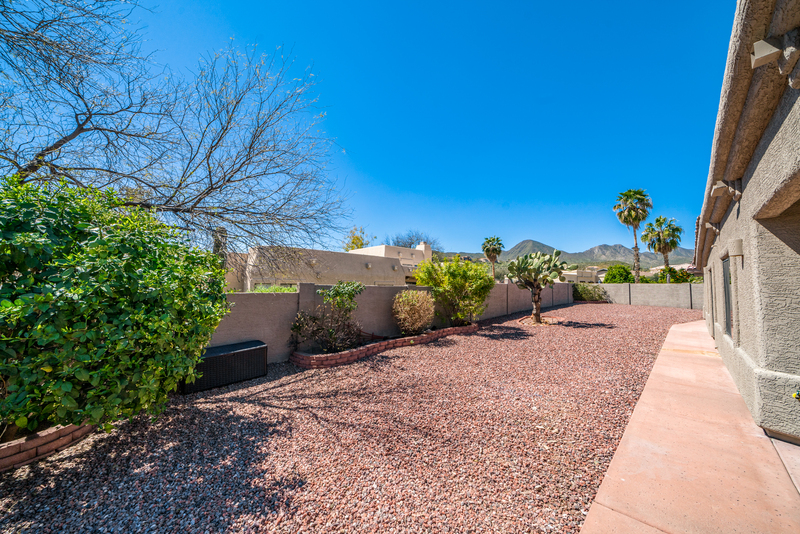 Situated in a highly desirable and friendly community with an award-winning school district on the outskirts of the city and just minutes away from some of Scottsdale's finest restaurants, shopping, and popular attractions. 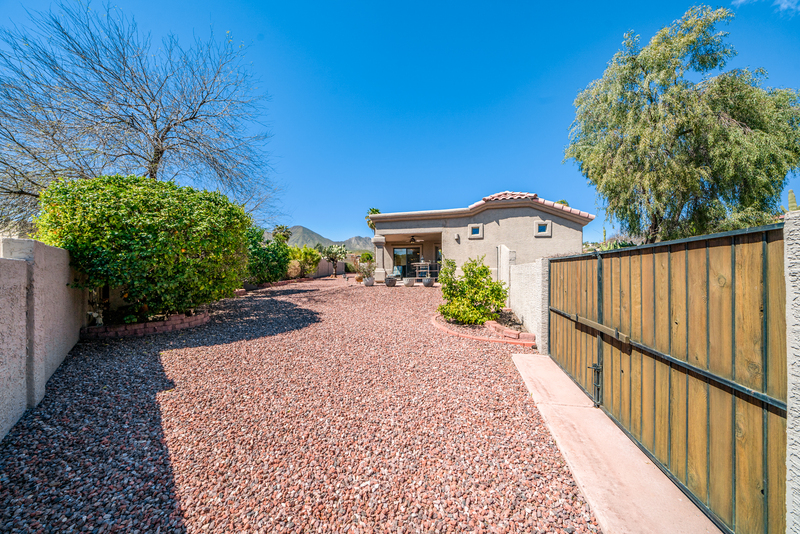 This is nature enthusiast's dream and the perfect home away from home. 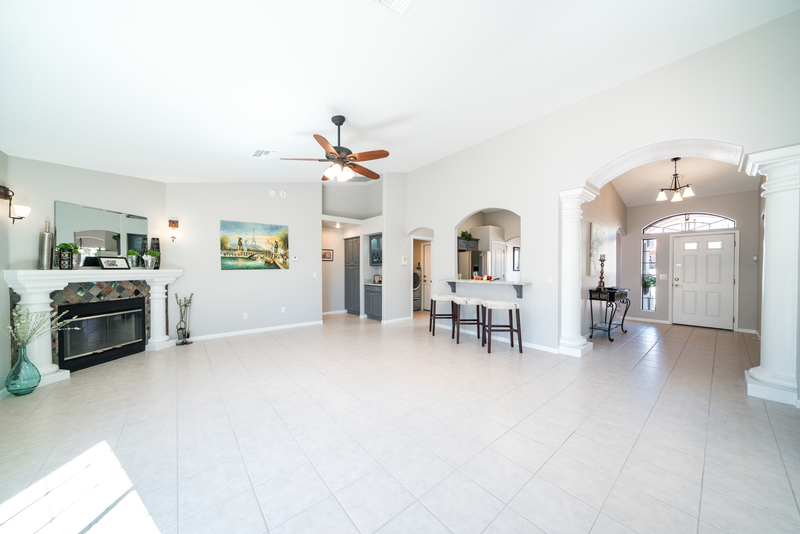 The wide entry foyer sets the tone as it announces the bright open-concept floor plan that extends across the living room, family room, and kitchen. 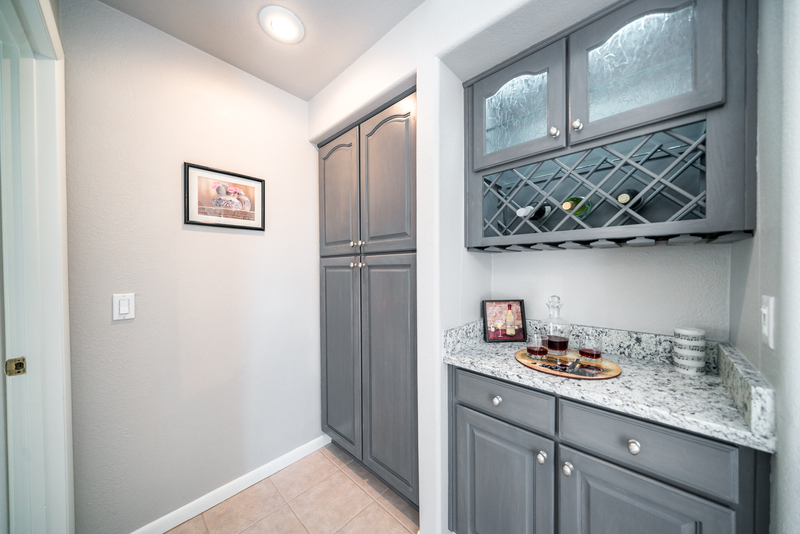 A glance away is the built-in bar with lighted wine rack and just around the corner is the private master ensuite. 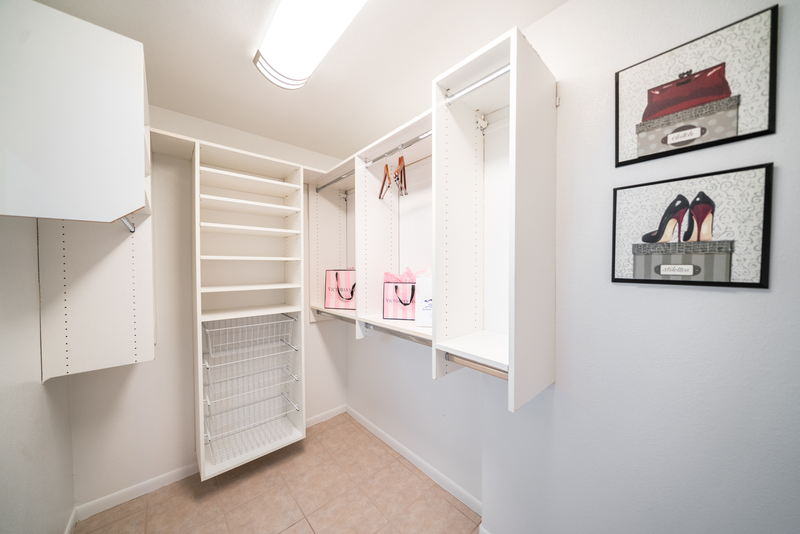 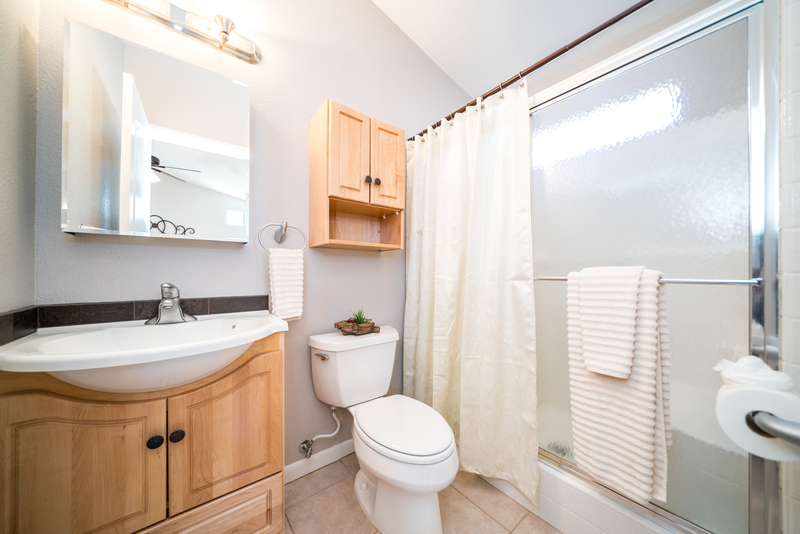 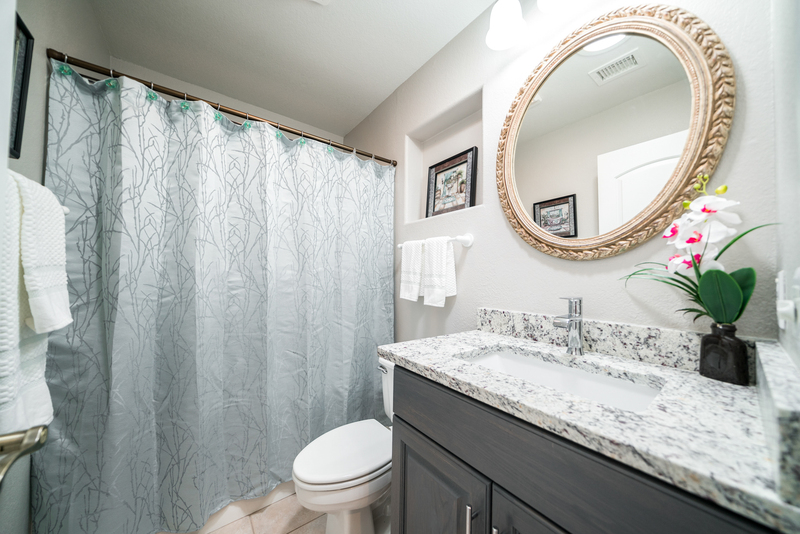 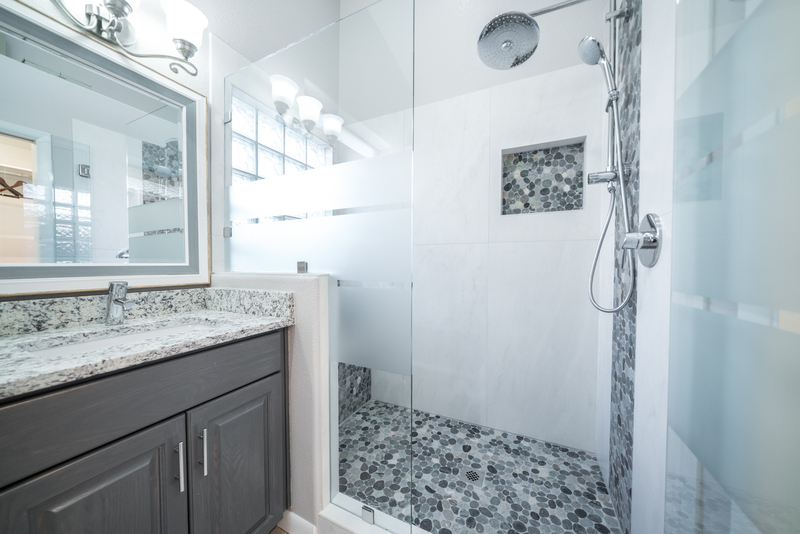 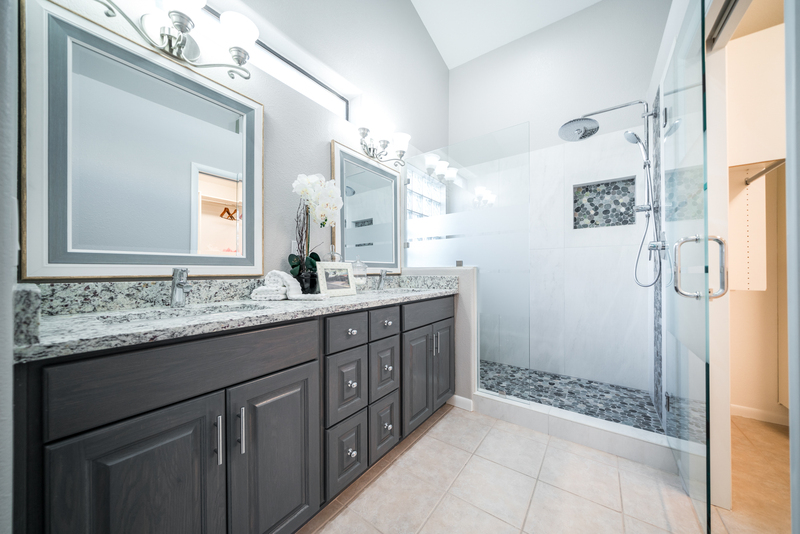 It has a large walk-in closet, double sinks vanity, and dual rain shower head in the updated pebble tile master shower. 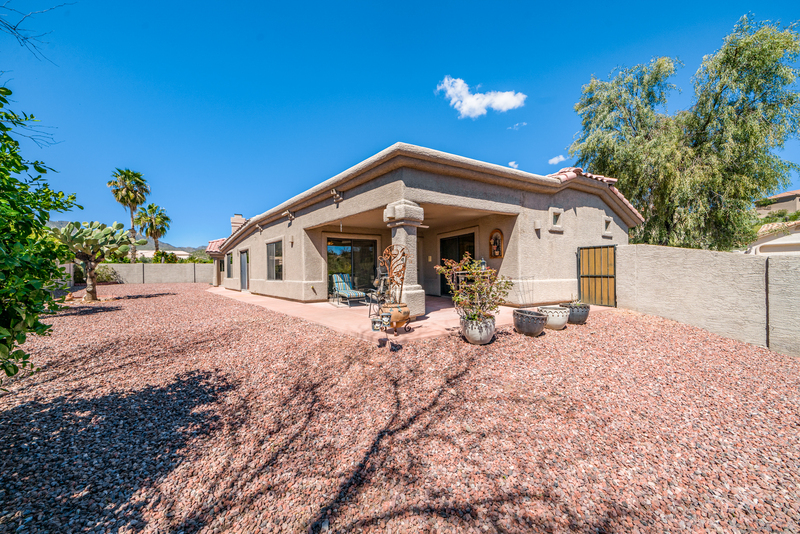 Absolutely stunning home! 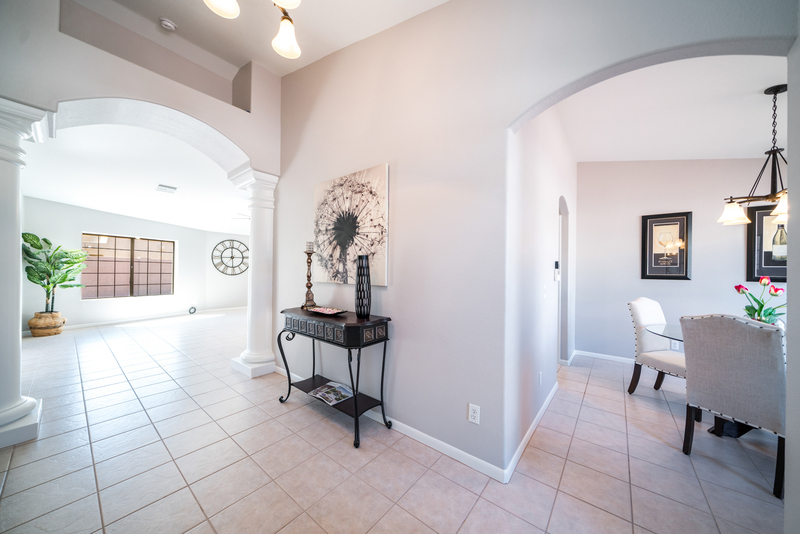 Soft, cool, contemporary color palettes! 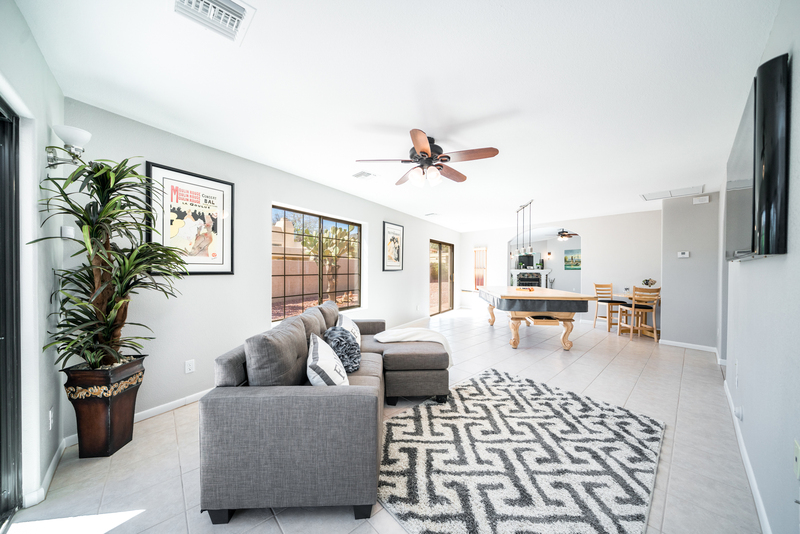 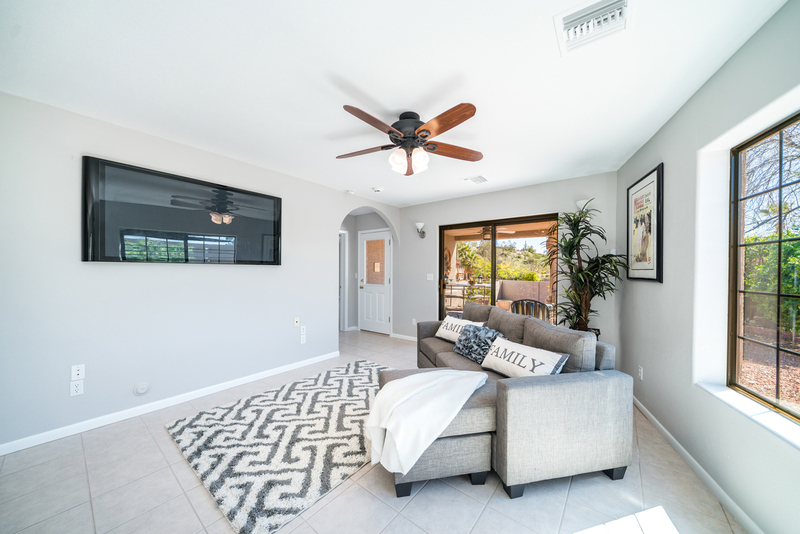 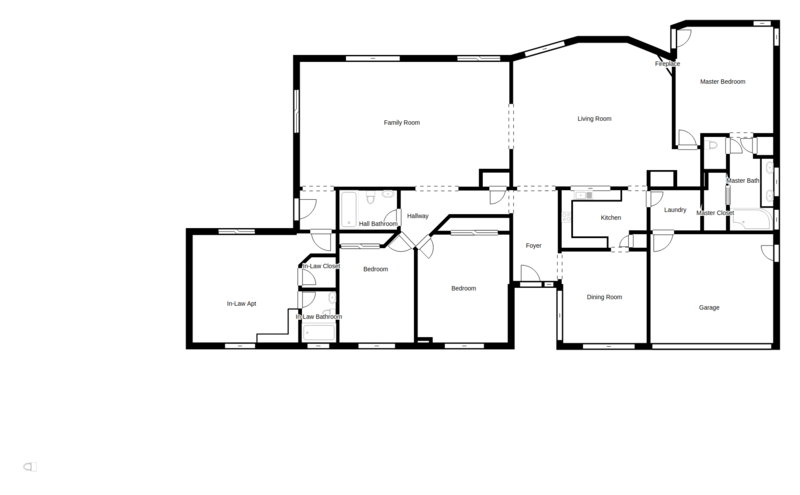 Spacious and inviting entry flows into the bright open-concept floor plan that opens to a spacious 12' ceiling living and family room equipped with a "plummed ready" wet bar. 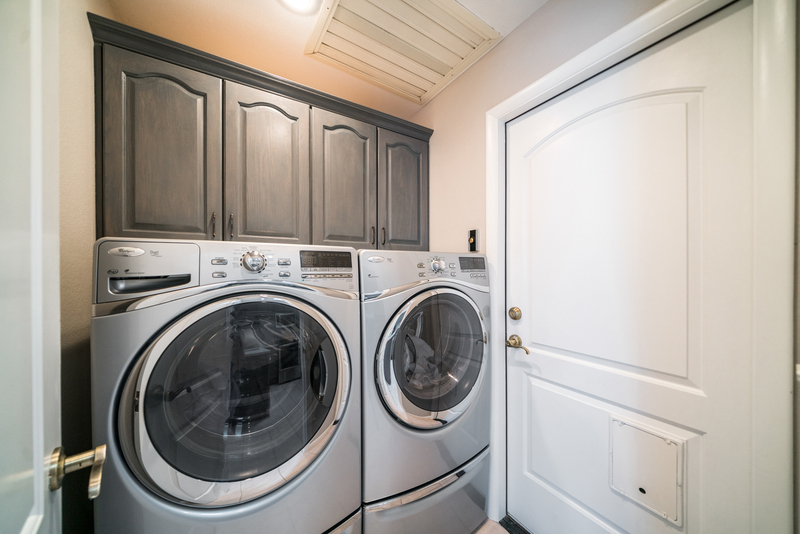 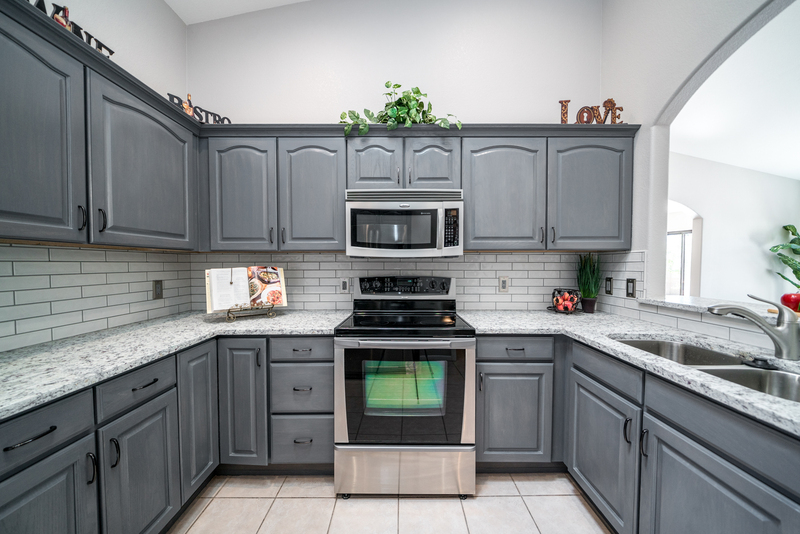 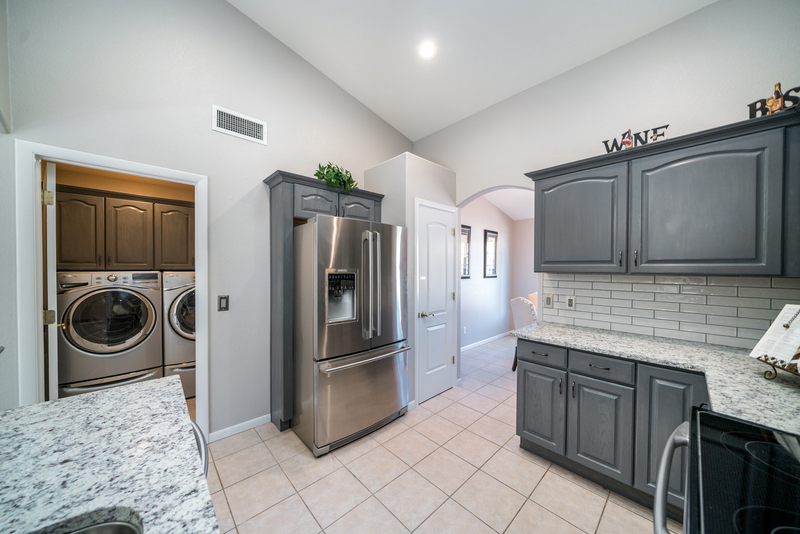 This beautiful home has a remodeled kitchen with modern shades of gray cabinets, satin finished countertops, stainless steel appliances, and custom subway tile backsplash. 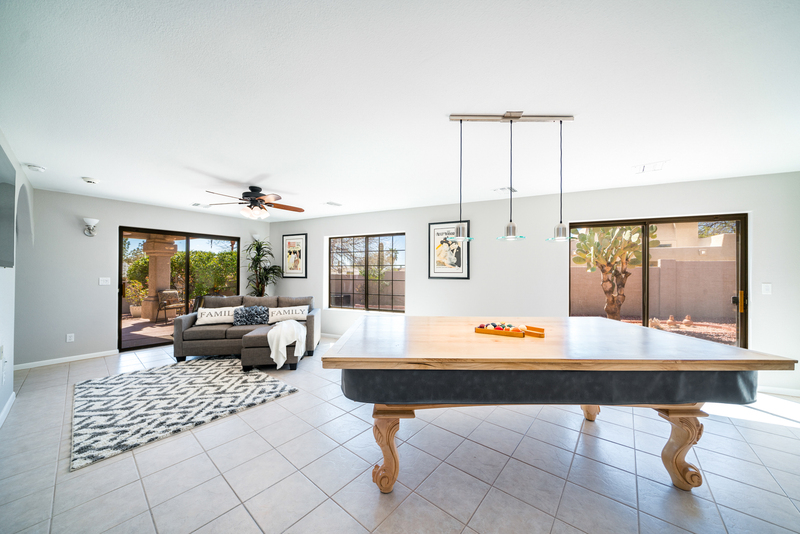 Take the party outside thru the wide glass sliding doors that lead to the desert landscape backyard where you can enjoy front row seat to some of Arizona's most spectacular sunsets. 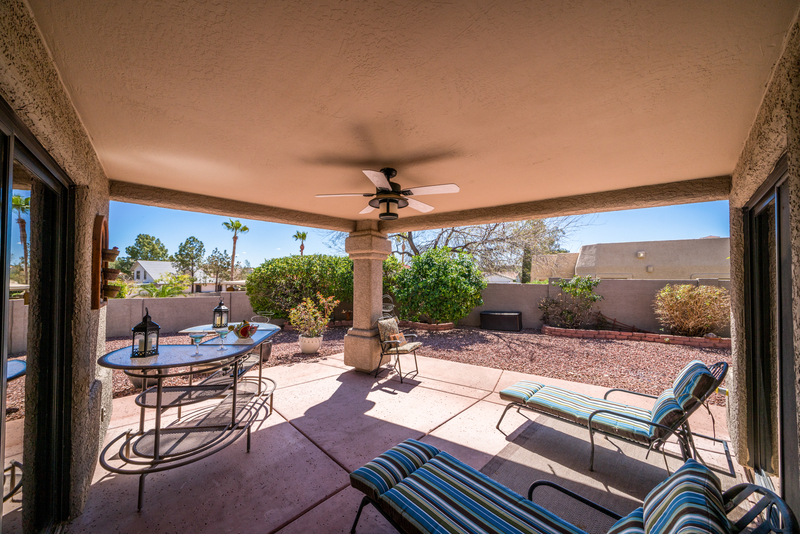 It's the perfect spot to unwind from a busy day. 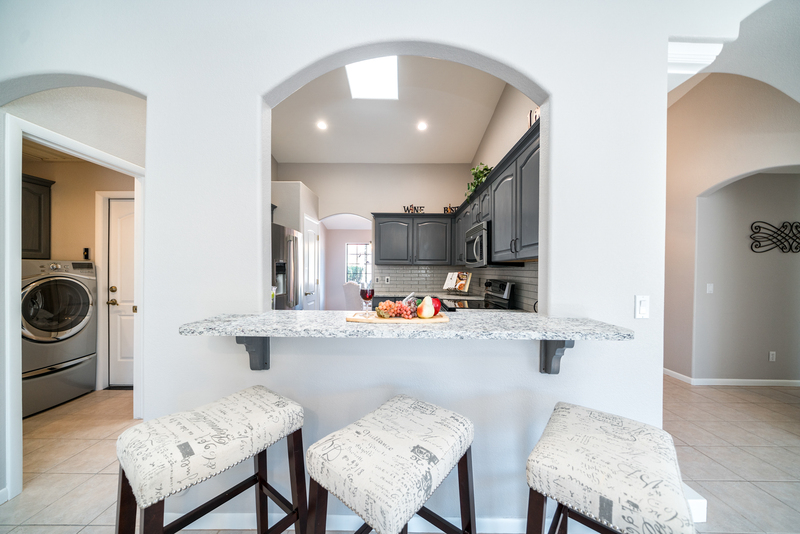 Tired of fighting for elbow room when there are too many cooks in the kitchen? 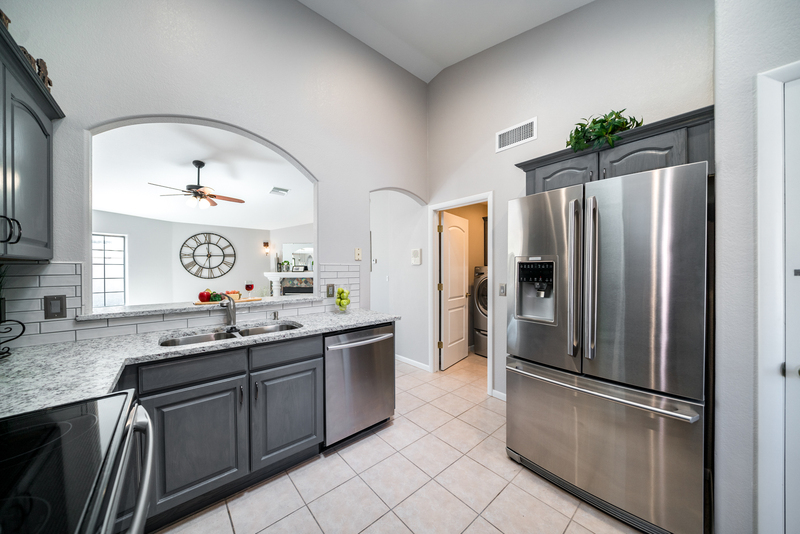 Or worse yet, tired of getting stuck in the kitchen by yourself because there isn't enough room for anyone else? 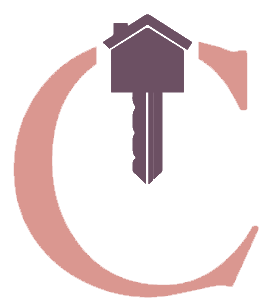 Worry no more. 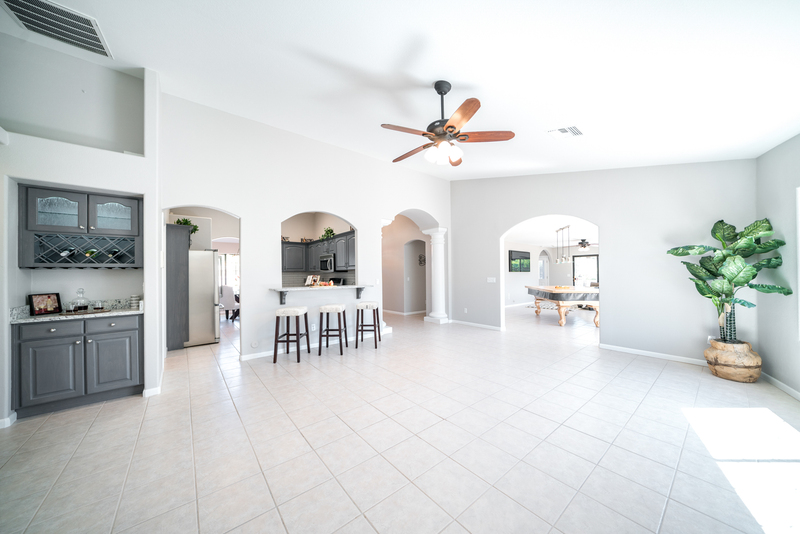 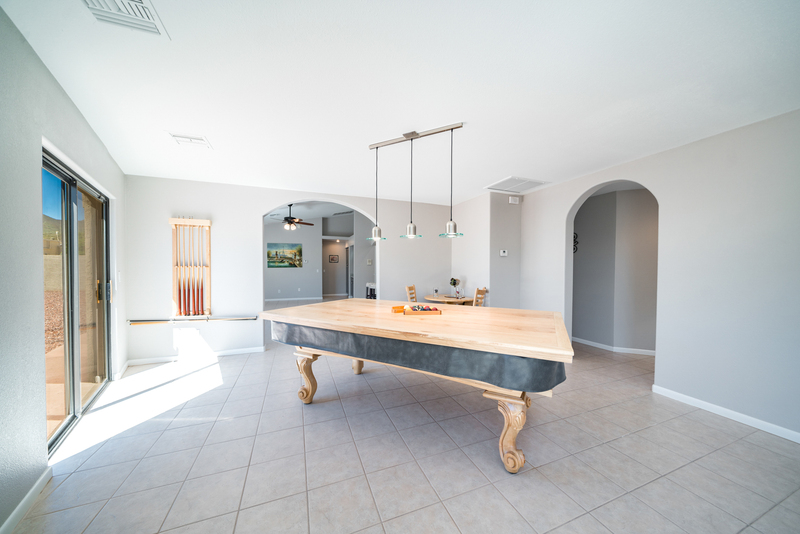 With all of this space and the fact that the kitchen is the central hub of this home, it opens to the great room where you can sit and read by the fireplace or comfortably watch your favorite cooking shows while you prepping meals. 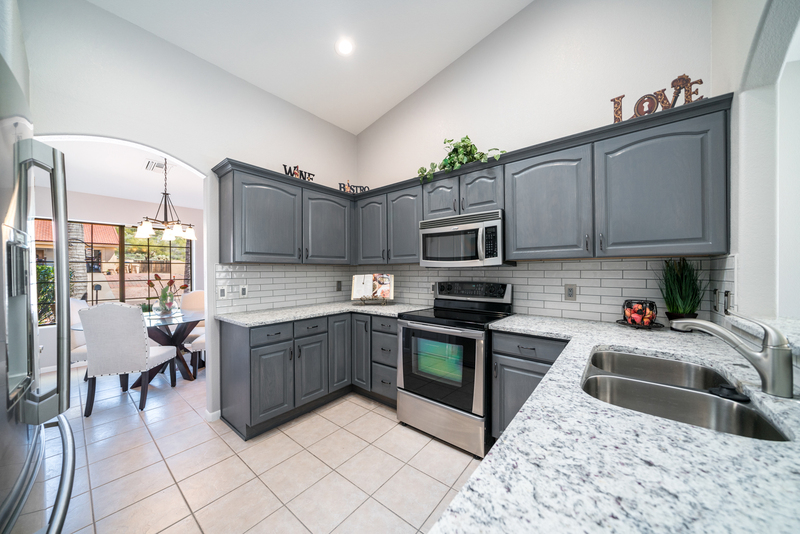 It even has enough counter space for your sous-chef to help with meal prep and for others to sit in the nearby rooms, chat, and keep you company. 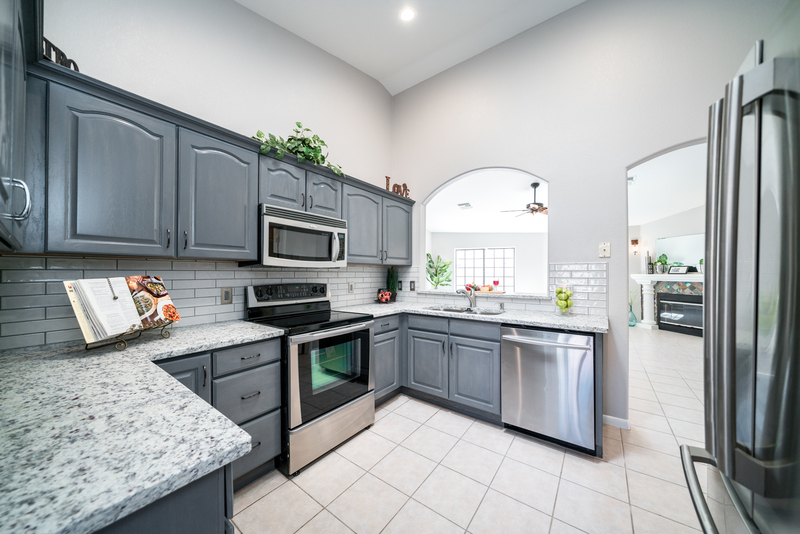 Being in this kitchen, you won't ever have to feel disconnected again from everyone else. 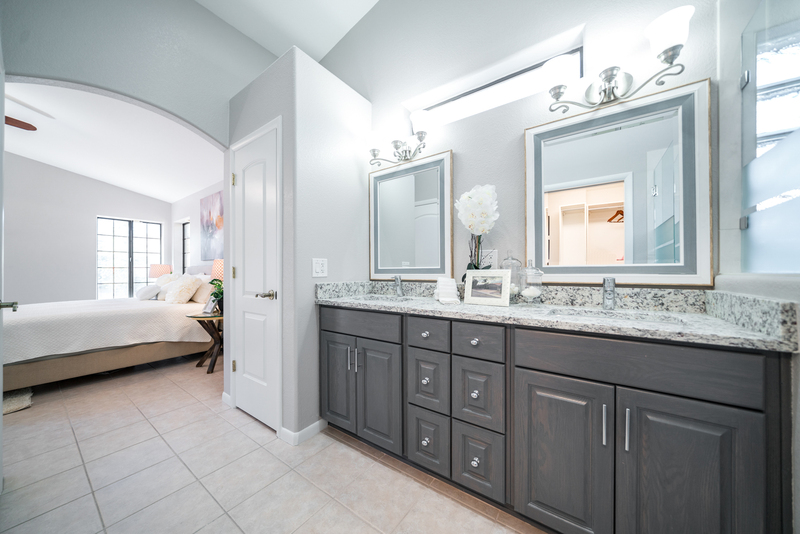 The large private master ensuite has a newly updated master bath new fixtures, double sink vanity, new satin finished granite countertops, dual-head rain shower faucets, pebble-stone tile master bath, and a walk-in closet so large you could twirl around in it with your arms spread out and you wouldn't hit a wall. 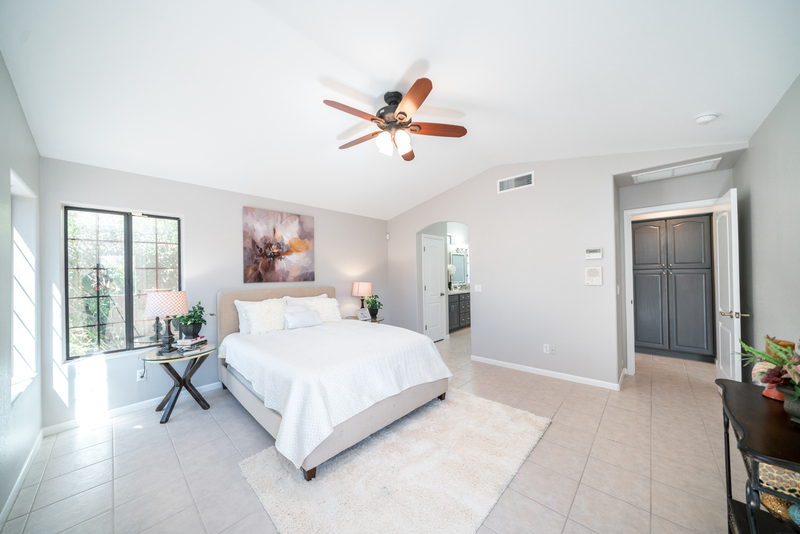 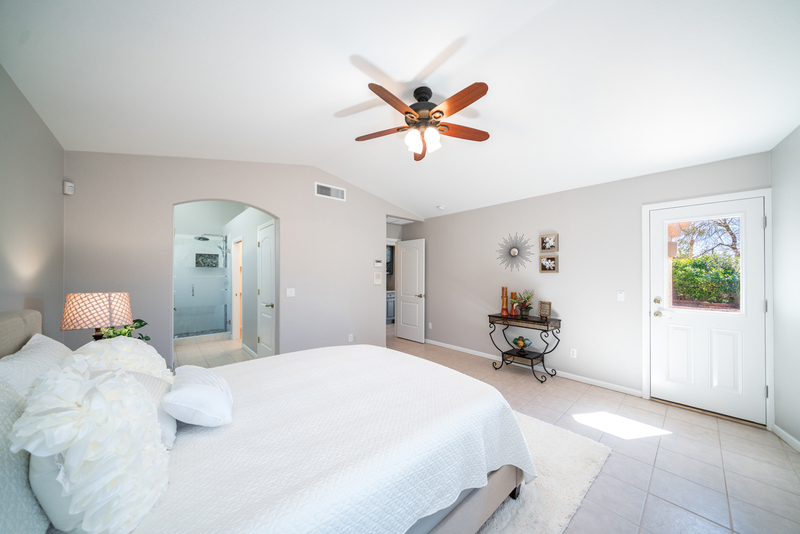 We love how the vaulted ceiling in the master bedroom changes to a standard height towards the view door that leads out to the private fenced-in backyard. 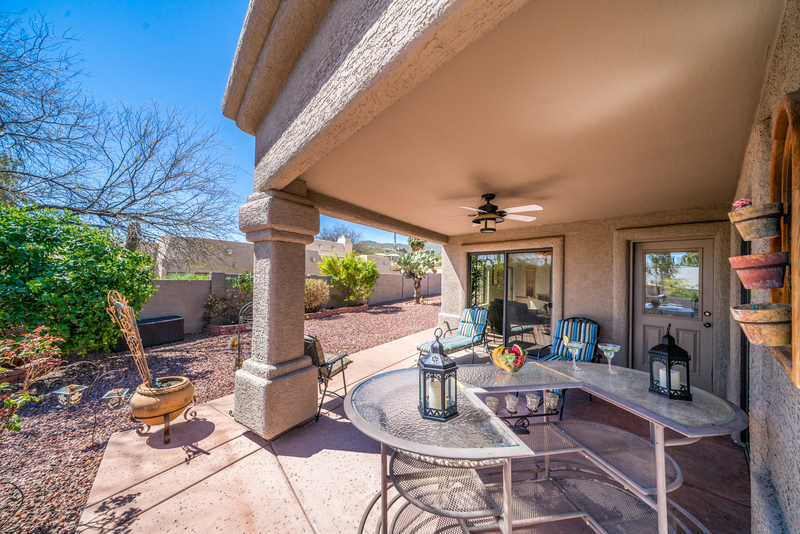 And if you really wanna take the party outside, the large fenced-in backyard is the perfect place to patio-sit with friends and neighbors. 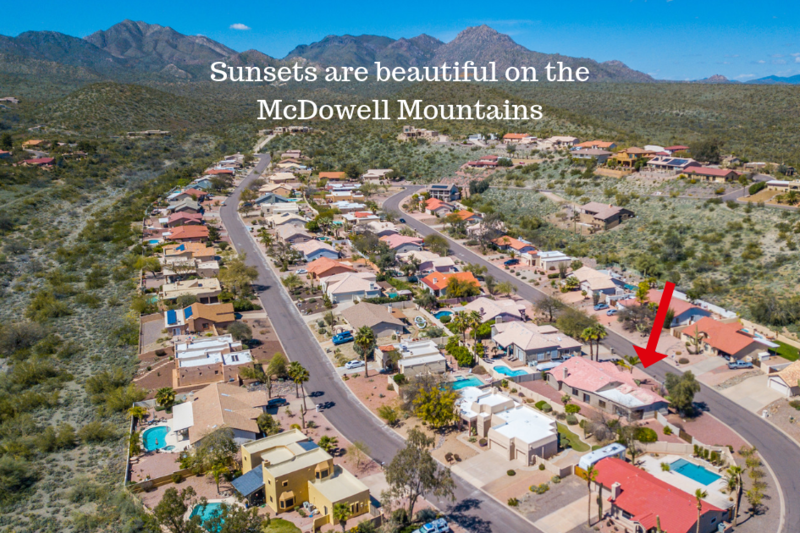 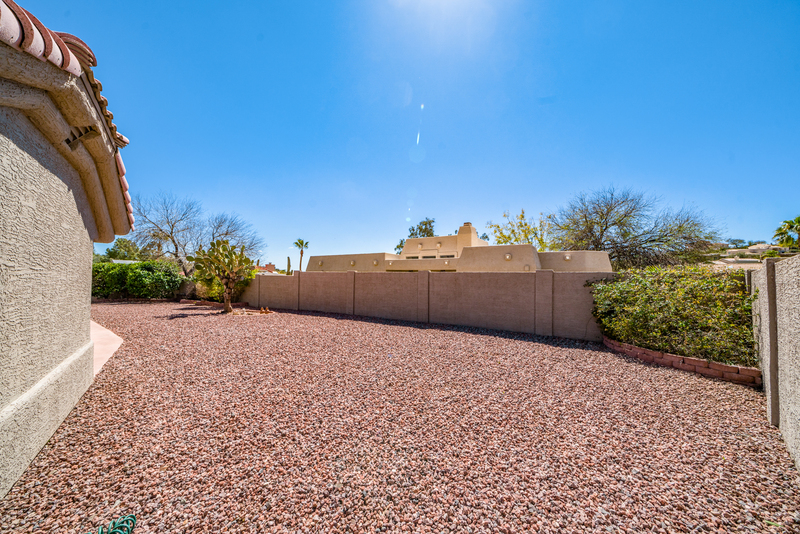 The lot location and fencing provided by the landscaping combine to give you the feeling of being out in the open while still retaining some privacy overshadowed by some of Arizona's most picturesque sunsets. 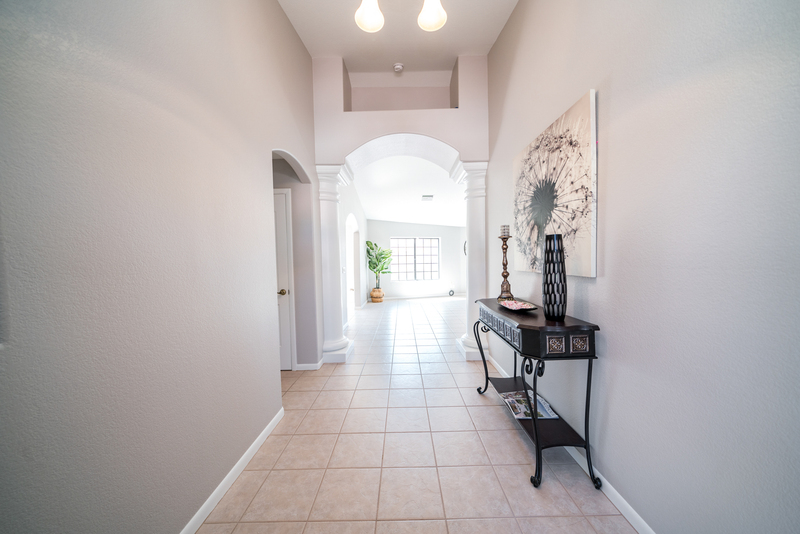 We know what home may mean to you.